Perhaps you are one of those lucky people who own a house with a backyard full of trees;then you know that spending time under the shade of a tree is a good way for anyone to relax. However, you may also know how difficult it is to maintain those trees, especially if they are part of a larger landscaping project. Trees need to be taken care of as living creatures who grow and require nutrition. Pruning a tree is useful for preventing excessive growth of the tree and also helps to match it to the landscaping you have chosen. Regular pruning of a tree will make it healthier, safer and more attractive. @mr_shane_allen up a maple tree that is split at the base and rachet strapped together. He has a Secondary tie in higher up in an adjacent white oak just in case the maple tries to fall over. Stand clear, the tree surgeon is operating! If a tree is allowed to grow without any trimming then they begin to get weak and disease prone. Proper pruning will allow healthy growth. Damaged branches can also be removed to provide better air circulation. Pruning and trimming has long been a means of creating the perfect aesthetic ornament for outdoor decoration. It can reduce the height of the tree to prevent obstruction or give it shape for decorative purposes. If the tree begins to grow too wild, then there is a chance that its branches may prevent the passage of sunlight through the tree. This can create a dark and dreary look in your garden or yard. Sunlight is also needed for flowers and smaller plants to grow. Pruning the tree branches will help them to get the sunlight they need to bloom. You may notice the leaves of your tree getting discolored or becoming sickly in appearance. This can signify insect or disease problems, poor nutrition, tree wounds, etc. Proper pruning, fertilization and effective plant health care can solve many of these problems. This can signify the presence of infection. By removing the affected leaves and branches you can prevent the spread of the disease and improve the overall health of your yard. 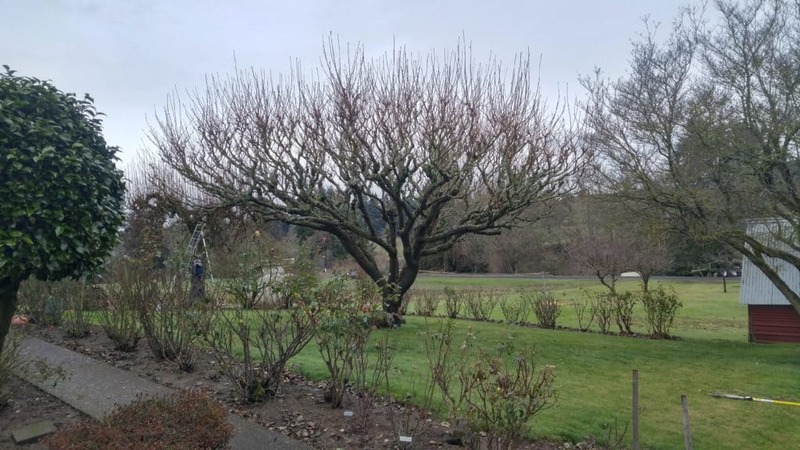 Even though pruning may appear to be a simple task, there is a huge difference in the appearance of a tree pruned by an expert. First, they have the proper tools, which makes the task much easier. Second, an experienced arborist will know exactly what needs to be trimmed and how to give a proper shape. This service generally includes ArborPro’s Experts preparing the tree, pruning the tree for safety and making sure all parts of the tree find the ground safely. This may include the use of technical rigging, direction falling or aerial lift equipment to get the tree down safely. Once on the ground, the tree is left in place with no cutting of limbs or wood. If you have concerns about the stability and health of any of your trees, you can schedule one of ArborPro Tree Expert certified consulting arborists to perform a Tree Risk Assessment and Health Evaluation. If needed, specific recommendations will be made for improving the health and safety of your trees. A hazard tree can often be saved by proper tree pruning and or tree trimming. When it comes to pruning a tree or a grouping of trees consult with a qualified arborist. Pruning trees takes years of practical experience with utilization of proper technique. You might have the most beautiful tree in the neighborhood but the beauty of the tree is covered up by tree limbs, old growth, dead branches and anything else you can think of. Once a professional tree service expert evaluates your tree a plan of action is provided. There is absolutely no reason to remove a tree when all that is really needed is a proper tree pruning job. Wood Lot Management Programs generally include developing both short and long term goals to best suit the client’s desired uses for the forest stand. Forest Management practices, such as selective stand trimming to thin a forest stand, clearing unwanted vegetation, tree pruning and selective tree planting, etc., are used to achieve these goals over a period of time. Multiple recreation uses, reducing fire potential, creating trails, clearing understory of unwanted vegetation, promoting growth of certain tree species and harvesting timber are common goals.